As many of our buyers have not entered a presale contract before, our Englewood sales team would like to provide you a recap of the buying process for you to refer to as the completion and possession time of your home arrives. We have itemized the process into 7 easy steps to Possession! When you wrote your presale offer to purchase, you wrote it with a subject clause to perform due diligence on your prospective purchase of an Englewood home. Your purchase is conditional for you as the Buyer to be satisfied. These are the subject clauses provided in your Contract of Purchase and Sale. Each one the subject terms are for you as the Buyer to be satisfied prior to removing your subjects and entering into a firm and binding agreement to purchase an Englewood home. Prior to removing subject conditions in your Contract of Purchase and Sale, you may have obtained a financing commitment for a mortgage through your Mortgage Broker or Financial Institution. It’s very important that you fulfill all the conditions of your mortgage commitment as soon as possible. Your mortgage Broker or Lender also needs to receive a copy of any documentation pertaining to the Contract of Purchase and Sale. It is your responsibility to see this through. PLEASE NOTE: It’s extremely important that you stay in regular touch with your mortgage broker. 30 days prior to the Completion Date, you will need to choose a lawyer or notary. Generally, the Buyers lawyer fee varies from $1800 to $2,200 (fees and disbursements included) for an average Englewood home. How do you find a real estate lawyer? Click here for some tips. Of course, you can always ask the Sales staff on site for recommendations of Lawyers whom have worked for Englewood buyers in the past. Once you have decided on a lawyer or notary you will need to send the Sales Manager your notary information. 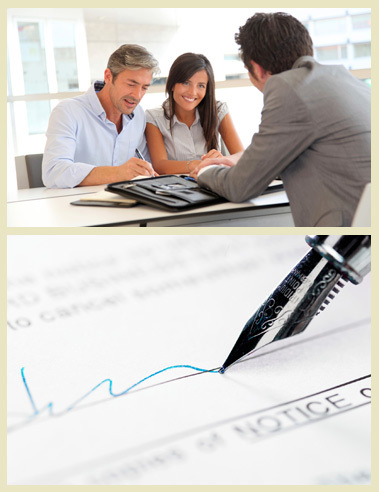 The Sales Manager will then send your lawyer or notary a copy of your Contract of Purchase and Sale. After removing your subject conditions, you will be required to pay a deposit via bank draft for the amount per your sales contract. Deposit payments are made payable to Goluboff & Mazzei In Trust. Prior to the Completion Date, our Englewood Customer Care Coordinator, will be contacting you to book an appointment for your New Home Orientation. The orientation will be booked approximately 10 days prior to the Completion Date on a weekday at 10:00 am or 2:30 pm. In this orientation, the Customer Care Coordinator will review a number of items including your New Home Warranty, education on the best way to maintain your home, and will also demonstrate how certain functions of your home operate. Once mortgage instructions have been sent from your lender to your lawyer, your lawyer will contact you to book an appointment for you to sign all of the necessary documents to complete your new home purchase. This appointment will typically take place about 4-7 days prior to your Completion Date. This is the day that you will meet with a Englewood representative and receive the keys! As of this moment, the home is all yours and you can start moving in and getting settled into your new home.